Naivety rather than callousness is the cause of much frustration between designer and client. Communication particularly at the early stages is vital to creating a good relationship and ultimately a great website. 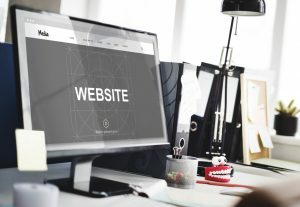 So for any unsure business owners out there who would like to get a website for their business here are 9 pieces of information you may need before your site is designed. The most important information to be provided is an overview of what you want of and from your website. Web design is like any other specialized service. It needs direction and a goal but not a step by step instructional for the designer. If you can clearly convey how you want your website to look and operate the designer can find the best way to achieve your goal. Telling them what you want and exactly how to get there is akin to giving an artist a paint by numbers. Yeah you know how it will turn out but you are not utilizing valuable skills and talents that a web designer may possess. For a designer to properly capture your business they need to know something about it. I would recommend having a discussion with the designer about YOUR business, its operations, people, market, strengths, weaknesses etc. This can help simplify the design and create a more accurate reflection of the positive aspects of your business. Many people don’t understand the difference between web design and web content. In a simplistic sense design is the structure, functionality and overall look of a website whereas the content is the text and images that “fill” the pages. Whilst a designer can and usually will add the content on your behalf they do not know your business, do not know your customers and therefore could never properly sell your business online. That’s why it is important for you the businesses owner to create the content that will be used to sell to your customers or at least pay a professional to create it for you. Similar to content the onus is on the business owner to provide images for the website to achieve the best results. Obviously there are exceptions to this but images of the actual business, staff and equipment create a whole heap more rapport with visitors than generic images. Also most businesses are unique and finding high quality suitable images is an extremely difficult task at times. Disclaimer: A color theme and logo is close to the most unimportant yet overated component of a business. How many times have you heard of someone not using a product or service because the sign out the front is red but their website is prominently green. That being said the most successful companies generally have very powerful and recognizable colors and logos. If your business has a great logo and color theme then advise the web designer before work takes place. If however you are yet to create one please let the designer know of your plans. Do not turn around just before completion and say “I had a guy design a logo for me can I change the website to match” as depending on what kind of site it is, this could mean a total redesign which is basically like building a new site. In any case a website cost more than a logo so it would be financially responsible to change the logo to suit the website. If you have brochures or pamphlets for your business that you like you should pass them onto the designer. After most websites for small businesses are electronic brochures selling your business. In fact any advertising material both physical and digital should be passed on to help understanding and generate a few ideas of what you want for the designer. If you want your website to show up in search engine results (like Google & Yahoo) you will need to tell your web designer. Whilst they might not provide SEO services any good designer can set up your pages to be as search engine friendly as possible. However you will need to follow this up by hiring an SEO professional. Have you seen a great design that you really like? Do you have a competitor that your design needs to compete with? Let your designer know. It can be very hard to communicate ideas in your head but if you can take certain elements or entire looks from other websites to give your designer an idea it usually means an end result close to what you were visualizing. If you have any related technical information you should let the designer know. If you have a planned domain name let the designer know early so that they can organize registering it before anyone else does or so they can let you know if it is available. Again this information can save time and money because several designers like myself will register the domain and organize hosting on your behalf. Obviously you won’t want to double up. There is no such thing as too much information when it comes to designing. There is nothing worse for a designer than a client who adds, subtracts or modifies during construction when it could have been avoided if the client lets them know upfront. More importantly however is this information will give the necessary tools to the designer to create the best possible website for you and your business.